It's tempting to imagine that if our leaders were better teachers, consensus would ensue. But what works in the classroom doesn't necessarily apply to politics. PARIS — It's a sentence that any observer of French politics has heard: We need "pedagogy." The same instruction is repeated president after president, from minister to minister. It seems obvious, at first glance. To clearly spell out policy goals, to explain why and how the measures are taken, and to insist on their benefits and relevance is really the least politicians can do. That, after all, is the only way to ensure success. Or so we're told. Because after each failure, the fiasco is always attributed to a "lack of pedagogy." If it's not working, it's because we haven't been able to explain it well enough! In reality, though, such statements are based on a profound misunderstanding about the nature of pedagogy, on the one hand, and of politics in a democracy, on the other. The pedagogue is an essential figure, but a necessarily modest one. His or her role is to steer people toward knowledge, not produce it. The pedagogue leads, provides access, facilitates the way to what already exists. The name itself doesn't mean anything else. The word pedagogue originally refers to the person who transports (agôgeïn, in ancient Greek) children (païdoï) to school. The pedagogue accompanies, nothing more. It is a humble but crucial role for all those who are children (with respect to knowledge), meaning, at some point or other, all of us. It opens the door to scientific truths and established disciplines, introduces us to methods and gives us the first keys. The pedagogue makes us discover literary, aesthetic or conceptual heritage and knows how to make it loved. This is of the utmost importance. But it has nothing to do with the "pedagogy" politicians keep harping on about. Because there are no children in the Republic, only citizens. A well-explained policy can always be refused. Measures that are perfectly explained and argued can lead to persistent disagreement. Everyone will agree that it's desirable to avoid misunderstandings and misinterpretation. But in politics, no pedagogy, no matter how well-executed, can overcome opposition and tensions. Because these are inherent to the plurality of projects and their competition. Hoping to win by dint of pedagogy is, therefore, a mirage. At the root of this illusion, a very common but damaging one, is a confusion between political and mathematical truths. It's wrong to think of them as analogous. It's assumed that, just like scientific truths, political truths — well explained, well set out — simply cannot fail to convince universally. It's this confusion that made Lenin say: "The Marxist doctrine is omnipotent because it is true." 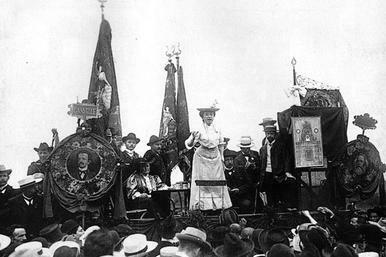 Following in his footsteps, Communist activist Rosa Luxemburg boldly proclaimed: "If everyone knew, the capitalist regime would not last 24 hours." Perhaps the same could be said of Communism. But what matters most is the following bias: Once the only truth has been taught and revealed... everyone should inevitably agree with it. Overall, this is true for scientific truths, but not for political decisions! The latter are plausible hypotheses, not universal statements. Political projects are proposals to be implemented, not theorems to be demonstrated. For each project, there are other possible choices that compete with each other. The truths of knowledge can expect and reach a consensus. The political ones are, by definition, subject to deep discord and endless confrontations — in democracies more so than in any other system. Explaining well no longer necessarily means convincing. Justifying your choice is not the same as winning support. This is why pedagogy in politics is, to some extent, illusory. Still, this is no reason to conclude that it is unnecessary. On the contrary. If it doesn't create agreement, it makes it possible to know, as precisely as possible, what we are in disagreement about and what people are opposing each other about. It would be wrong to underestimate the usefulness of such clarification. Its virtue, in that sense, is greater than we think. Because the better we know what separates us, the clearer our conflicts are, and the more the debates on democracy can benefit — in lucidity, in sharpness, in clarity. Agreeing on our disagreements is the real merit of good pedagogy. Because democracy is not about eradicating differences. Its purpose is not to smooth out conflicts. Rather, it strives to make them coexist, to regulate clashes.